The Posiflex KS7200 POS computer gives you a variety of configurations, ensuring there´s a model ideally suited to meet your needs. The combination fantastic display and Posiflex´s unique fan-free design make the KS7200 a great choice for retail or restaurant locations needing maximum stability and uptime. 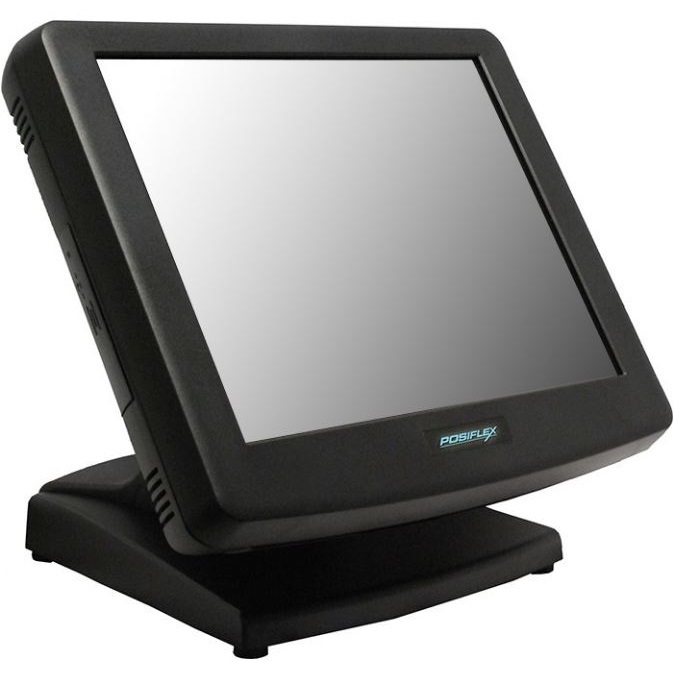 Available with a 10", 12", 15", or 17" LCD display, the KS7200 is equally suited for informational kiosks as well as full POS checkstands. 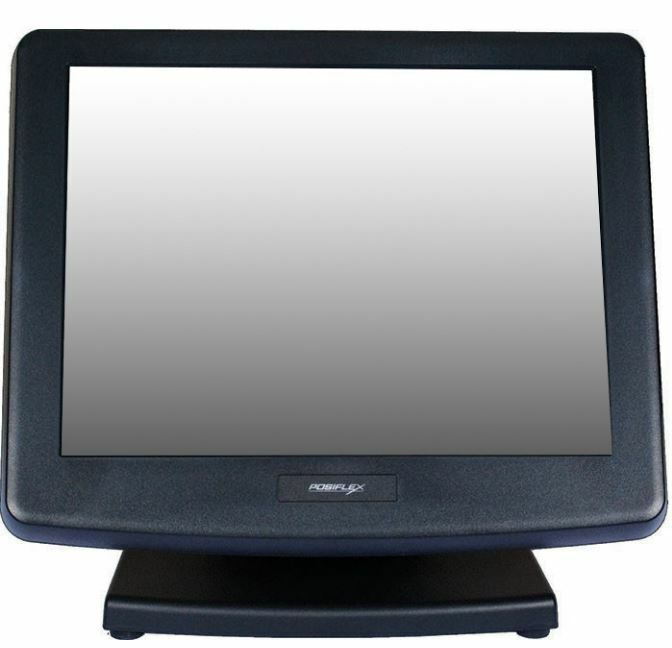 Your choice of resistive or infrared touch technology provides easy interaction with your software in a variety of environments. 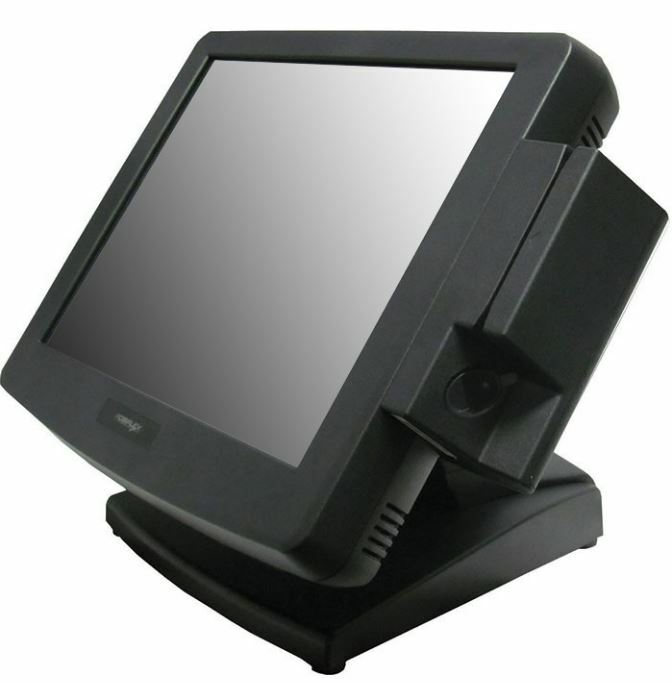 The KS7200 ships with a powerful Intel Atom processor, excellent for running most major POS software on the market. Posiflex built the KS7200 using a patented aluminum design, channeling the heat away from critical components without the aid of a fan. This fan-free design allows the KS7200 to be better sealed, protecting it from accidental water spills or splashes. Posiflex ships the KS7200 with a 3-year warranty standard, giving you greater peace of mind over the life of the POS computer. A newer version of this product, the Posiflex KS7500 is available. • Dimensions: 14.88" x 14.33" x 11.96"